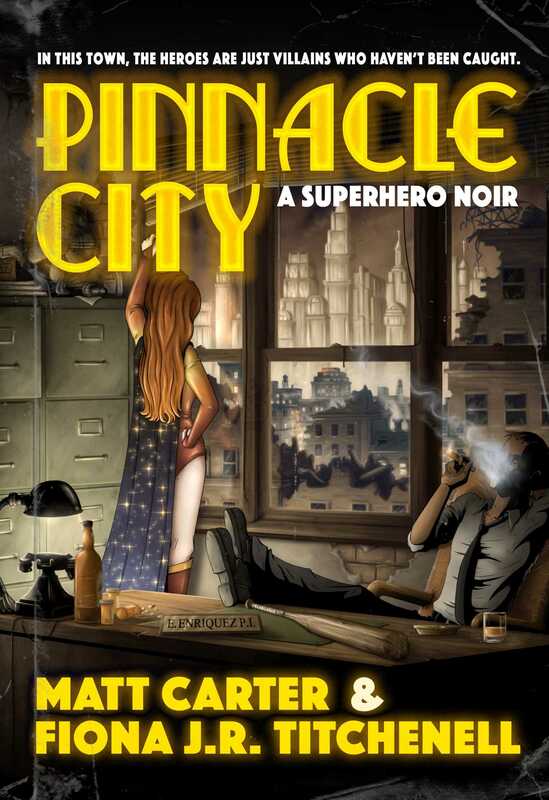 By Carter Matt and Titchenell Fiona J. R.
To some people, Pinnacle City is a glittering metropolis, a symbol of prosperity watched over by the all-star superhero team, the Pinnacle City Guardians. But beneath the glitz and glamour is a gritty underbelly, one still feeling the physical and economic damage of the superhero-villain battles of generations past, where the lower class—immigrants, criminals, aliens, sorcerers, and non-humans alike—jostle and elbow for scraps to scrape by on. Matt Carter & Fiona J. R. Titchenell are married sci-fi, horror, and YA writers, who together have co-authored The Prospero Chronicles series. Matt has also written Almost Infamous: A Supervillain Novel, while Fiona has written Confessions of the Very First Zombie Slayer (That I Know Of). They live in sunny San Gabriel, California, with their pet king snake Mica.